PikuNiku is one of the more interesting indie titles coming to Switch. Designed by Arnaud De Bock, the 2D platformer is set in a 'delightful dystopia' and boasts local co-op play on Nintendo's console. Keen to learn a little more about the enigmatic title, we tracked down its equally enigmatic creator for a brief chat. Nintendo Life: First of all, congratulations on the recent announcement of PikuNiku on Nintendo Switch. Arnaud De Bock: Thanks! I was really happy with the reactions of players during PAX! We first found out about the game a year or so ago in Japan. Is there much of a Japanese influence in any aspect of the game? 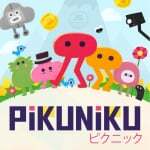 PIkuNiku got its origin in the word picnic in japanese. We love the idea that a picnic is something everyone enjoys, a moment to share with friends and family. I have been influenced a lot by Japanese comics, animation and games since when I was a kid. The game is set in a 'delightful dystopia'. How did this description come about? The visuals are undeniably gorgeous and charming, but what themes or ideas make it dystopian? We don't want to spoil the story, so it's hard to explain why it's a dystopia... but playing the story mode, the player will discover things behind this colourful and "perfect" minimal universe. There is a real sense of personality to the way different characters move and interact. How important are these elements to the narrative? If I decided to have such an aesthetic - a very minimal one - it's too keep the focus on the physical appearances of each characters, and their body language. Some rules in PikuNiku: Permalife (it's impossible to kill or die) and No score keeping. I've got nothing in particular to say about the Switch, except that I really love the size of the Joy-Con controllers, and that you can play anywhere with your friends. This is kind of perfect for PikuNiku! Once I discovered the Switch, we decided to add the co-op mode. 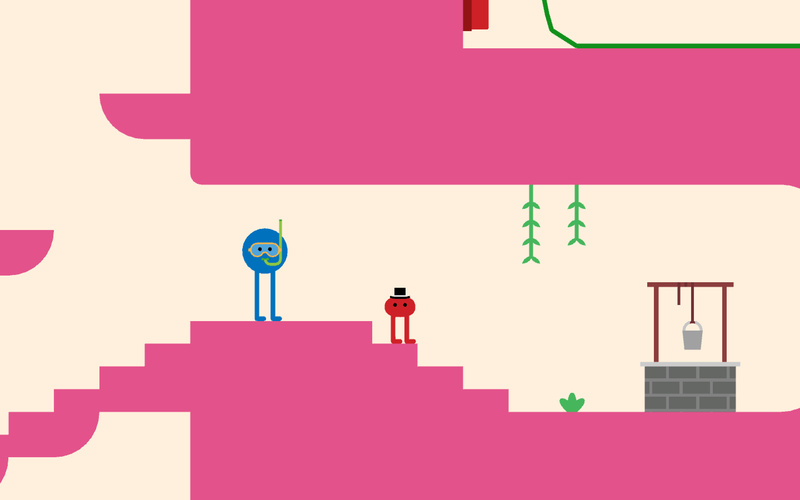 From the first week of development, I was thinking that PikuNiku should be on the new Nintendo console; I was excited about the idea of developing a game for a console which - at that time - didn't exist. It must be exciting to launch on a new Nintendo platform that has huge popularity at the moment. Yes. Nintendo is also the home of "thinking" video games. The idea of family-friendly experiences, playable from 7 to 77 years old. Are there any games you grew up playing as a kid? I was a big fan of Day of the Tentacle, Flashback and Another World. The last two I loved because they mix platforming and storytelling. Games like Noby Noby Boy, LocoRoco, Animal Crossing and Portal 2. Also, Keita Takahashi (Katamari Damacy) is the game designer who influenced me the most, along with Chris Crawford. Because both of them think that there isn't a "good" way to make a video game, and that we need to explore the potential of video games by taking risks and breaking conventions. Looks okay, not sure what to think yet though. Need to remember to keep my eye out for this, any chance of a physical version? Why do you never ask this question? Now that I finally have Isaac, this is actually my most anticipated game for the Switch. It looks utterly delightful. I really cannot wait for this. This looks very intriguing. I want to know more aboit it before deciding if it's for me or not, but I'm optimistic. It looks pretty cool. I love they way they walk for some reason. This looks like the PSP classic LocoRoco. I'm very excited! They should make a "Don't hug me I'm scared" game. when i was growing up we had manly games. these kind of games soften bones. thus do not prepare you for life. I don't know why but I NEED this game! This game looks very interesting. I also really love the size of the Joy-Con controllers back to school promo codes .PikuNiku is one of the more interesting indie titles. I was a big fan of Day of the Tentacle, Flashback and Another World. Animal Crossing, Portal 2, and Katamari Damacy. What an interesting combination of influences! That being said, they can certainly be seen in the video above. Sounds like a really fascinating game. At a glance, it seems like a bright and simple kids game, but it sounds like it has some more mature and thought-provoking themes as you dig deeper. I like it! @mariavanquez Yeah, you're absolutely right! This game has something in it, once you start playing then you can't stop yourself. You just get going and digging deeper and deeper, by the way I wanna let you know that I purchased this game on really cheaper rate with a discounted coupon from Penny Saviour you should definitely use this coupon on your next game purchase I must say. This game is just lit. It has became my addiction.. I enjoy playing this very much as PikuNiku cut off my stress.. Once you start playing this you will feel so relaxed. I have used some stable coupon codes to receive more lives of PikuNiku and for clearing 4 levels without any life loss. This was just amazing..
been a nintendo fan since Super Mario! This PikuNiku is very interesting and can't wait to try playing it. Used Motorcycles Tampa have cool models of racing bikes!